It's All My Blog: Steve Jobs wanted to "destroy Android"
In an interview for the biography conducted in January 2010, Jobs told its author Walter Isaacson, "I will spend my last dying breath if I need to, and I will spend every penny of Apple's $40 billion in the bank, to right this wrong. I'm going to destroy Android, because it's a stolen product. I'm willing to go thermonuclear war on this." Jobs said that in a meeting with now former Google CEO Eric Schmidt, Jobs told Schmidt, "I don't want your money. If you offer me $5 billion, I won't want it. I've got plenty of money. I want you to stop using our ideas in Android, that's all I want." Apple has filed lawsuits against Android smartphone makers HTC and Samsung, claiming that they have violated Apple's patents in relation to the iPhone and iOS platform. Those lawsuit battles are still continuing today. 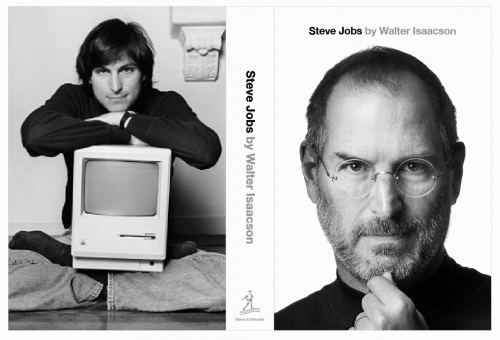 Isaacson's biography of Jobs is officially due to be released on Monday but might already be available in some book stores. It has become one of the more highly anticipated book releases of the year, thanks in part to the passing of Jobs early this month at the age of 56.
right now he's just dead.